It’s no secret that I’m a big fan of hygge, the Danish concept of cozy contentedness. 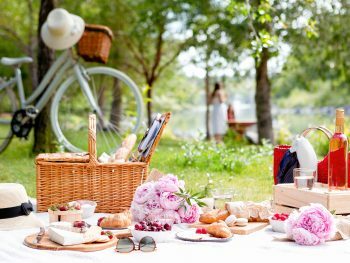 Hygge is not just a Danish thing though, the word originates from Norway, and it’s a mindset that is second nature to all Scandinavians. I think it’s wonderful that it’s benefits are becoming more widely recognised around the world. I can’t remember exactly when I first came across the concept of hygge. 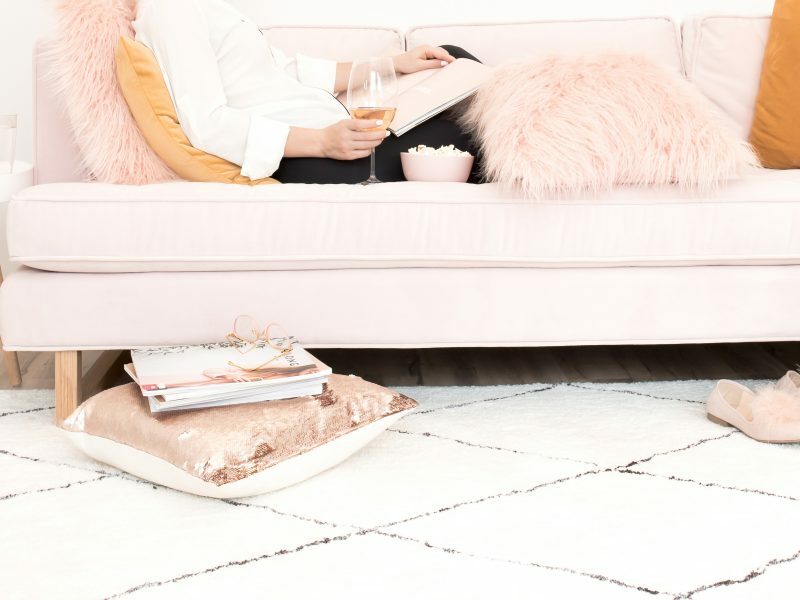 I love reading, and I love all things cozy, so it’s likely I came across it in an article on one of my weekend tea-drinking, newspaper-reading sessions. All I know is that once I’d read about it I immediately identified with it as a GOOD THING. The essence of hygge is to stop rushing, slow down, and appreciate the moment you are in. 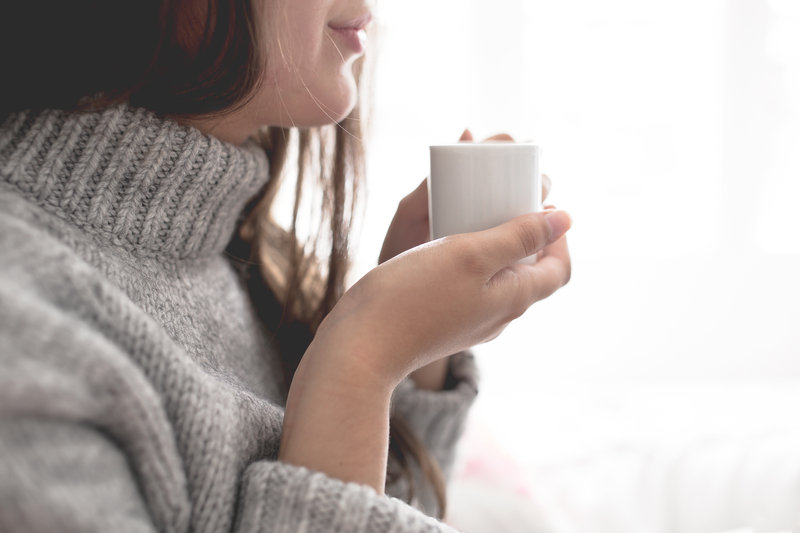 To me, hygge is an important part of living a contented, intentional life. I love how hygge encourages us to slow down and be mindful of the moment. How it helps us to appreciate the simple things and be grateful for all the good things in our lives. 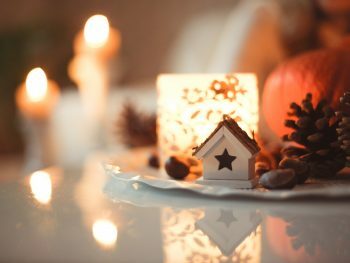 Hygge is not about decorating your house in a certain way or having the right kind of clothing. Hygge can’t be bought in a shop, despite what retailers of woolly socks and luxurious throw blankets would have us believe. 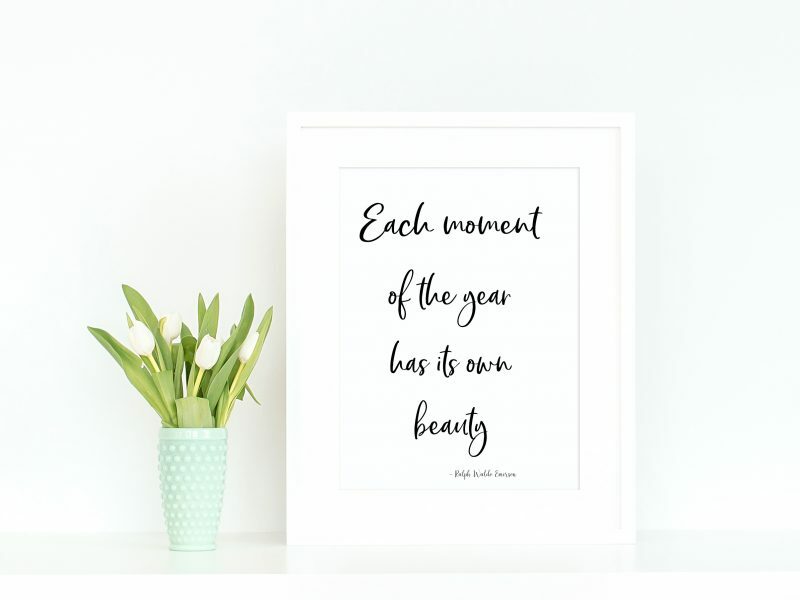 It’s a feeling and an atmosphere that comes with enjoying the moment, whether you are on your own taking some guilt-free time to enjoy a cup of tea, with friends having a drink by the fire at the pub, or sharing a simple meal around the table with your family. 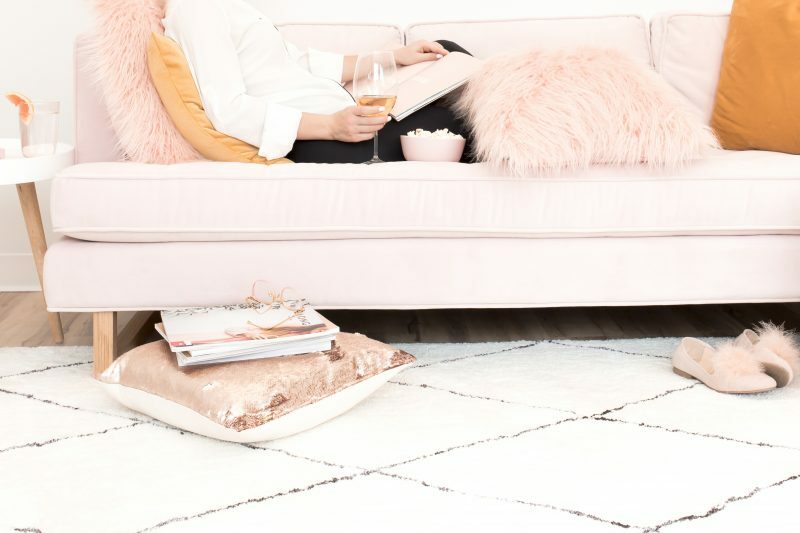 Are you’re intrigued as I am by hygge and would love to learn more? It’s certainly very hygge to curl up with a good book. 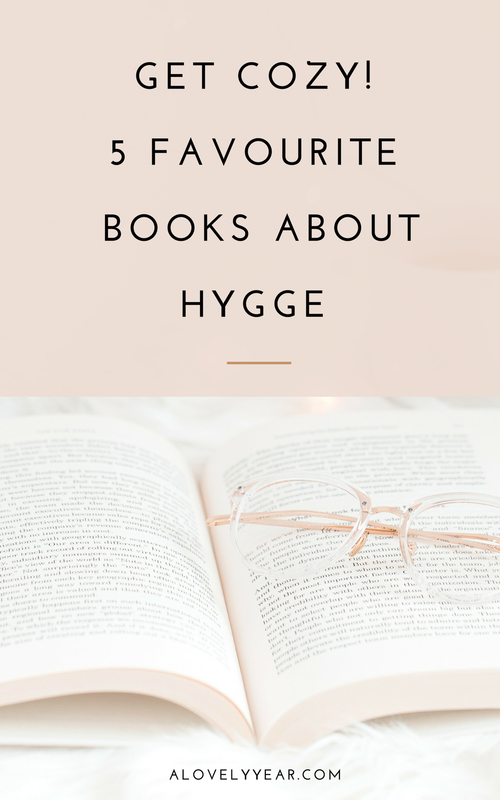 Here are some of my favourite books about hygge. From guides for beginners to personal memoirs and recipes, there’s something hygge for everyone here. The Little Book of Hygge is the book that brought hygge into the consciousness of the wider world. Author Meik Wiking, CEO of the Happiness Research Institute in Copenhagen (what an amazing job!) examines why Denmark is consistently at the top of the world’s happiest country rankings. It’s no surprise that he concludes hygge is the magic ingredient. 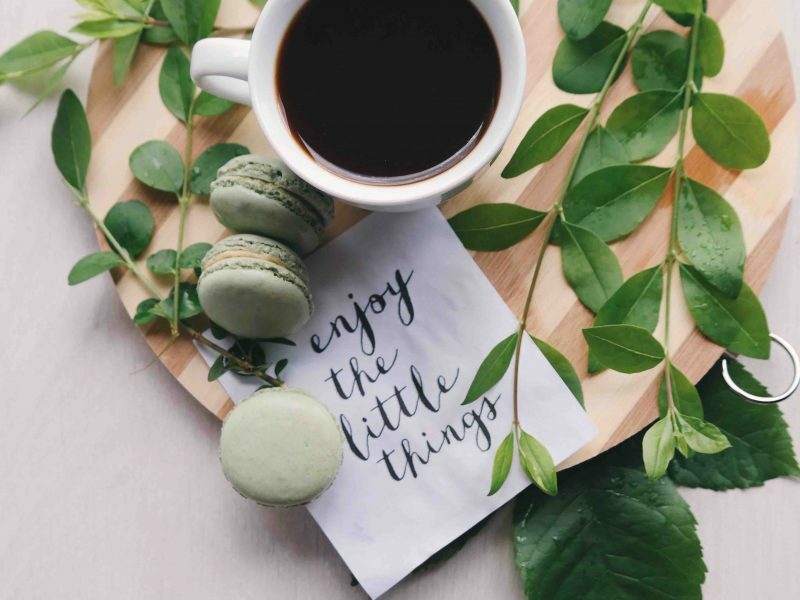 Hygge gives us the language, the objective and the methods for planning and preserving happiness – and for getting a little bit of it every day. 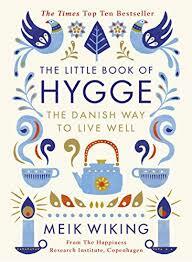 This is a great introductory book to the concept of hygge. Along with original research, it contains recipes and lots of practical ideas to help you to incorporate hygge into your life. I loved reading this memoir from British journalist Charlotte Abrahams. Approaching her 50th birthday, and determined to enter her next decade with more serenity that her previous ones, Abrahams undertakes an experiment in hyggelig living. Along the way, she discovers the positive impact of celebrating simple pleasures. 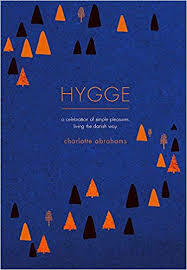 Abrahams examines hygge from a design, living, and soulful perspective. 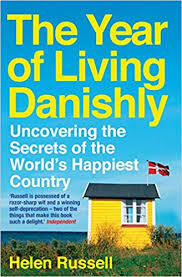 As well as including lots of interesting facts on Denmark and Danish culture, she offers her personal observations and reflections, along with plenty of inspiration and practical suggestions on how to live a hyggelig life. In this lovely book, Danish actress Marie Tourell Søderberg explores what hygge means to ordinary Danish people. For many Danes hygge is something you strive for. It’s like a compass, steering us towards small moment that money cannot buy you, finding magic in the ordinary. 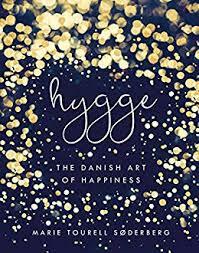 I found it fascinating to read the observations of ordinary people from all over Denmark on how they incorporate hygge into their lives. It includes recipes, craft projects, and plenty of inspiration on how to cook, decorate and entertain the hygge way. One of my favourite parts of this book is the hygge dictionary at the end. So many fabulous words to describe every hygge moment! 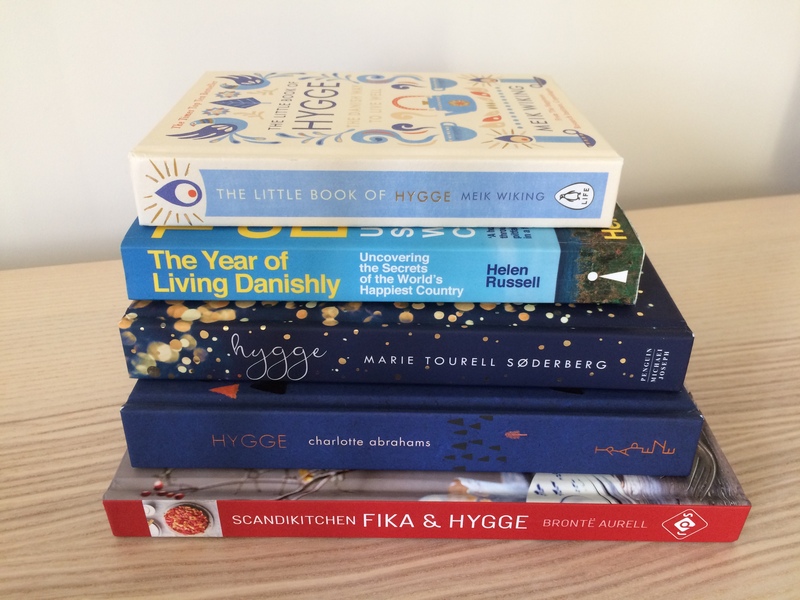 Hyggelæsning (hygge-reading). Reading as part of a hygge-moment. Hygge and baking go together like hot chocolate and marshmallows. This gorgeous recipe book celebrates how chatting over coffee or tea and eating something delicious and comforting (known as fika in Sweden) is a wonderful way to hygge. With stunning photographs, mouth-watering recipes and easy to follow instructions, it’s the perfect inspiration for a cozy day of baking. From buns, to cakes, to little pastries – a selection of recipes to make your own traditional fika at home and create cozy feelings of hygge with people you love. 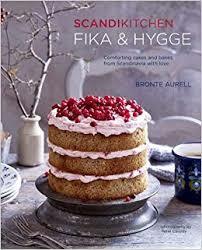 While not strictly just about hygge, this is still a favourite Scandi book for me. British journalist Helen Russell and her husband spent 12 months living in rural Jutland and along the way she reports on her experiences living in Denmark – from learning the language to making friends and becoming part of the community. Russell investigates what really makes Denmark the happiest nation on earth. Told from the point of view of a foreigner trying to uncover the secrets to the Danes high levels of happiness it’s a funny, honest and sometimes eye-opening story. Entertaining and informative, it’s a great read! And of course hygge features in there as well.